​In 2003 after the disappointment of dismantling an exhibition of my paintings where nothing sold, I started cutting up the canvas pieces and sewing them in to bags. They sold immediately. Raised on a farm, watching my mother repair and maintain the harnesses for the horses, I gathered a sense of the craft of leatherwork. I had the tools that I needed, I simply had to connect the dots to my paintings. It turns out that I did not need a wall to display my art, and that a bag was a perfect way to package my art. Originally, bags were a framing device- they since have become my medium. We make what has become an instantly-recognizable wardrobe staple enjoyed by celebrities and collectors worldwide. The signature clutch bags are made from luxury-quality coated canvas, and range in style from traditionally artistic to kitsch. My larger day bags and leatherwork offers functional versatility and artistry. My designs are a great way to spark a fun conversation. Whether one of the signature clutch pieces (each comes with a handy crossbody strap), or the larger day bags, I want to make something that breaks the ice and turns everyday adventures into an opportunity to make new friends. I employee a team of highly-skilled technicians who work alongside me to produce each piece. Our Rhode-Island workshop has a high bar for excellence, earning many awards. The pieces are produced to order, making each one specially for the recipient. There are nearly 50 steps in making each of our signature bags, in a process that has been refined over the past 15 years. Whether you are one of our early first patrons, or a new collector, it is an honor for me to make something that I know you will enjoy using. Thank you for helping me turn what was a disappointing start to my career as an artist into something more wonderful than I could have ever imagined. 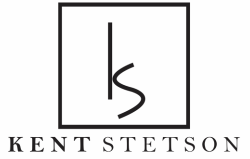 Copyright © 2019 Kent Stetson Handbags.